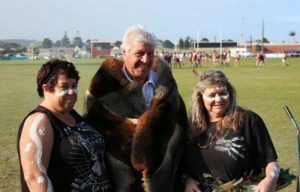 It has been fantastic to see a range of sporting clubs take the opportunity to host Indigenous Rounds across Gippsland over the last few years, including Football, Netball, Basketball and even Pony Clubs. Clubs involved have all reported many benefits and good news stories from their events. With momentum growing around Indigenous Rounds, GippSport and Deadly Sport Gippsland have developed an Information Kit and a small Grants program to assist clubs in 2017. The Information and Resource Kit has been put together as a reflection of 2016 events across Gippsland and includes contact details of clubs who held events last year. The kit steps clubs through the process of considering an event, planning activities, engaging local community members, what clubs can do and where to find funding. The Grants program provides up to $500 to assist clubs with their events, specifically to include cultural ceremonies and activities. Applications close on 30 April 2017.